Mission statement: C'est Si Bon Company is to strive and pursue the profound meanings of "Quality of Life" and everyone's "Desire for Longevity" through the supply of natural wellness whole foods and the related services to health-conscious consumers in the U.S. and the rest of the world. Good health is a real wealth in life ! C'est Si Bon Company has started its operation in July of the new millenium (2000) primarily providing the health food industry with fine natural food supplements, beauty aids, functional foods for female, etc. 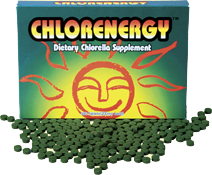 In the winter of 2001, C'est Si Bon Company introduced the world's finest (Japan's No.1) dietary chlorella supplement, Chlorenergy into the U.S. market. Chlorenergy represents one of the C'est Si Bon Company's main products. C'est Si Bon Company exclusively imports Chlorenergy from the world's renowned chlorella specialist-Chlorella Industry Co., Ltd. (CIC) , headquartered in Tokyo, Japan. 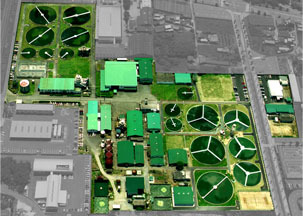 CIC pioneered the world's first mass-culture/production in 1964. Since then, CIC has so far conducted more than 500 cases of research studies on chlorella vulgaris in search for contribution to making this world a healhier one. Being impressed with a strong statement by Mr. Shuntaro Itanami, the founder of CIC that chlorella will be a savior for the nutrient-deficient world in 21th century, in winter of 2001, C'est Si Bon Company started its long journey of disseminating the U.S. about the special nutritional value of chlorella vulgaris and its extract (CVE). Privacy Statement: We at C'est Si Bon Company highly value and respect the privacy of our customers at all times, and are committed to in all our interactions with our valued customers. We fully recognize that our customers are the asset of our company growth, and we make every effort to protect their interests at all times. C'est Si Bon Company seeks to create a pleasant environment where customers have the great opportunity to get acquainted with and learn about our superb product(s) while providing our good service to customers. We make all our utmost efforts in order to give our valued customers a sense of safety and security while you place an order through our on-line (via e-mail) or call to order with us. For this reason, we are committed to maintaining the strict confidentiality of information about our important customers. Unless otherwise specified by a request by either from customer or C'est Si Bon Company, we will not offer any personal information about our customers to any third party (such as mailing list)without the customer's explicit consent.